This is a delicate hand-made flower hair clip and made easily for green hand. 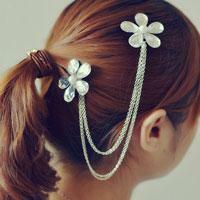 Following steps will tell you how to make a flower hair clip with two silver chain linked for yourself. There are many wire wrapped jewelry on our website. 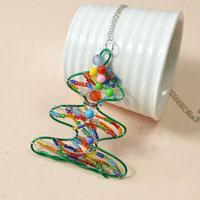 In this tutorial, I will show you how to make a wire wrapped pendant necklace with colorful beads for Christmas day. Pink is the favorite color of many girls. 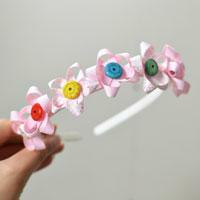 Today I will show you a pink flower headband making tutorial on how to make flowers for hair accessories.